28 February 2019 — The Department of Information and Communications Technology (DICT) is encouraging parents to play an active role in safeguarding their children against a recent harmful online challenge. News of death of an 11-year old kid was allegedly linked to a certain “Momo Challenge”, where children are reportedly tricked to follow a step-by-step instruction to get involved in unsafe dares, which will eventually lead them to commit self-harm. According to accounts, the challenge manipulates children to keep the matter to themselves or they will face certain consequences. The DICT Cybersecurity Bureau is monitoring the situation and will continue to look into policy and technical remedies to address the issue. The Department also asks parents to do their part in protecting their children and practice responsible digital parenting. “We will continue our efforts in making the cyberspace a safe place, especially for our children but we need the cooperation of the parents. They should be mindful of the activities of their children online,” Acting DICT Secretary Eliseo M. Rio Jr. said. 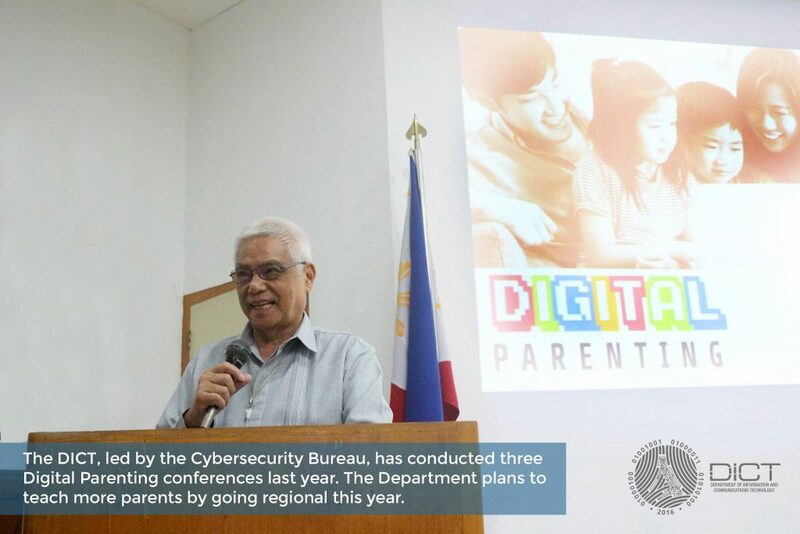 Assistant Secretary for Cybersecurity and Emerging Technologies Allan S. Cabanlong echoed Rio’s statement, saying they will continue their effort on conducting Digital Parenting conferences. “It is our fervent hope that parents play an active role in monitoring their kids online as the greatest influence to children is not the government nor the schools, it’s them- the parents,” Cabanlong said. The DICT has conducted three Digital Parenting conferences last year. For 2019, the Cybersecurity Bureau is planning to hold the said forum in the provinces, starting with Cagayan de Oro on 4 April.